Novato, California is a city in the United States of America. 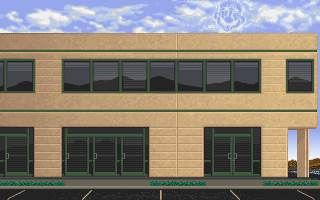 It was home to the real-life headquarters of The Software Toolworks (the company that developed Mario is Missing!, Mario's Time Machine, and the Mario's Early Years! series) before it became entirely defunct in 2011. In Mario's Time Machine, within the context of the fictional game, Bowser uses his Timulator to steal a Floppy Disk from Novato in 1994. This Floppy Disk is actually the proto-copy of Mario's Time Machine, and Bowser's plan is to prevent the game and its events from ever existing, therefore allowing him to travel back in time and ruin history without being bothered by Mario. To prevent this, Mario travels to Novato himself to return the Floppy Disk (however, Novato can only be visited after returning every other item stolen, making it the final location in the game). In Novato, Mario talks to some of the game developer's, including David Grenewetzki (the company's CTO, though he's referred to in-game as being at the top), Andrew Iverson (the game's writer), Don Lloyd (one of the programmers), and Jeff Griffeath (the lead artist), and he also helps them finish up the game itself. He eventually delivers the Floppy Disk to Grenewetzki and leaves Novato to confront Bowser. ↑ David Grenewetzki's LinkedIn profile. Retrieved September 9, 2017. This page was last edited on March 30, 2018, at 12:43.